Since the last decade, the R programming language has assumed importance as the most important tool for computational statistics, visualisation and data science. R is being used more and more to solve the most complex problems in computational biology, actuarial science and quantitative marketing. Since data volumes are increasing exponentially, storage has become increasingly complex. Rudimentary tips and techniques have become obsolete and no longer result in improved efficiency. Currently, complex statistical and probabilistic approaches have become the de facto standard for major IT companies to harness deep insights from Big Data. 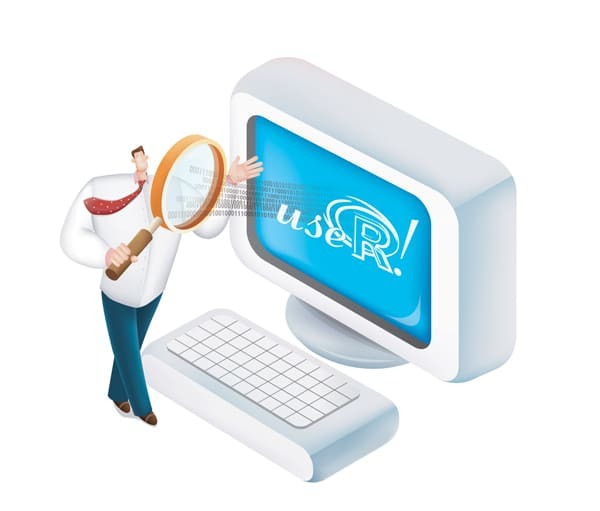 In this context, R is one of the best environments for mathematical and graphical analysis on data sets. Major IT players like IBM, SAS, Statsoft, etc, are increasingly integrating R into their products. <strong>Probabilistic distribution: </strong>R provides an over-abundance of probabilistic function support. It is the scenario that decides the domain of probabilistic applicability. The second statement computes the probability of three or less failures. The Poisson distribution (<em><a href="http://mathworld.wolfram.com/PoissonDistribution.html" target="_blank">http://mathworld.wolfram.com/<wbr />PoissonDistribution.html</a>)</em> is used to get outcomes when the average successful outcome over a specified region is known. For the hypothetical insurance company, the average fraudulent claims related to the property and casualty sector in the first quarter of the year are given. Using the Poisson distribution, we can hypothesise the exact number of fraud claims. Figure 1 graphically plots the distribution for the exact number (0 to 10) of fraudulent claims with different means (1 to 6). From the figure, it is clear that as the rate increases, the high number of fraud claims also shift towards the right of the x axis. In the field of data analytics, we are often concerned with the coherency in data. One common way to ensure this is regression testing. It is a type of curve fitting (in case of multiple regressions) and checks the intercepts made at different instances of a fixed variable. Such techniques are widely used to check and select the convergence of data from the collections of random data. 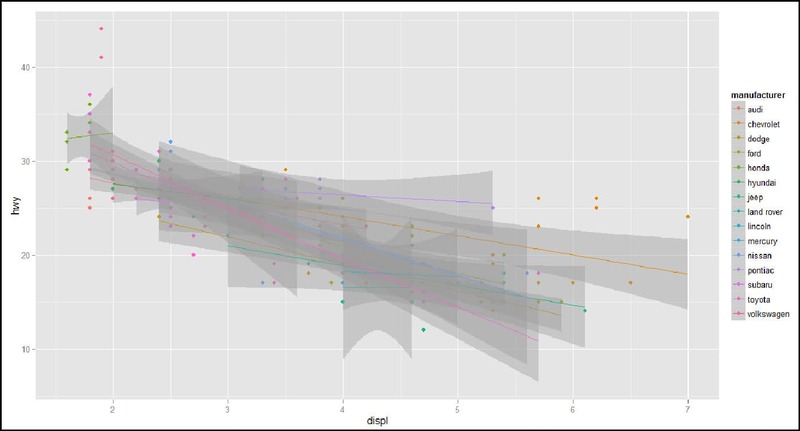 Regressions of a higher degree (two or more) produce a more accurate fitting, but if such a curve fitting produces a NaN error (not a number), just ignore those data points. <strong>Connecting R to the data source (MySQL):</strong>  With Big Data in action, real time access to the data source becomes a necessity. Though CSV/Excel serve the purpose of data manipulation and summarisation, real analytics is achieved only when mathematical models are readily integrated with a live data source. There are two ways to connect R to a data source like MySQL. Any Java developer would be well aware of JDBC; in R, we use RJDBC to create a data source connection. Before proceeding, we must install the RJDBC package in an R environment. This package uses the same jar that is used to connect Java code to the MySQl database. The first snippet installs RJDBC in the R environment; alternatively, we can use a GUI by going to the Packages tab from the menu, selecting ‘<em>Install Packages</em>’ and clicking on RJDBC. The second snippet loads the installed RJDBC package into the environment; third, we create a path variable containing the Java MySQL connector jar file. In the fourth statement, to connect a database named ‘<em>claim</em>’, replace ‘<em>SERVER_NAME</em>’ with the name of your server, ‘<em>username</em>’ with your MySQL username, and ‘<em>xxxx</em>’ with your MySQL password. From here on, we are connected to the database ‘<em>claim</em>’, and can run any SQL query for all the tables inside this database using the method dbGetQuery, which takes the connection object and SQL query as arguments. Once all this is done, we can use any R mathematical model or graphical analyser on the retrieved query. As an example, to graphically plot the whole table, run - plot(res); to summarise the table for the retrieved tuples, run - summary(res); to check the correlation between retrieved attributes, run - cor(res); etc. This allows a researcher direct access to the data without having to first export it from a database and then import it from a CSV file or enter it directly into R.
Another technique to connect MySQL is by using RMySQL—a native driver to provide a database interface for R. To know more about the driver, refer to <a href="http://cran.r-project.org/web/packages/RMySQL/RMySQL.pdf" target="_blank">http://cran.r-project.org/web/<wbr />packages/RMySQL/RMySQL.pdf</a>. Use the actual URL of the XML file in place of ‘URL’ in the third statement. The next statement lists compatible data in row/column order. The node name is listed as the header of the respective column while its values are listed in rows. Let’s begin by creating a root node for the XML document. Then we go forward by creating child nodes using the method addtag (addtag maintains parent child tree structure of XML). Once finished with adding tags, the value preceded by the root node name displays the XML document in a tree structure. <strong>Neural networks (facilitating machine learning):</strong> Before proceeding further, we need to power up our R environment for neural network support by executing the following command at the R prompt install.packages("neuralnet"); and load using command library (neuralnet); into the R environment. Neural networks are complex mathematical frameworks that often contain mapping of sigmoid with the inverse sigmoid function, and have sine and cosine in an overlapped state to provide timeliness in computation. To provide learning capabilities, the resultant equation is differentiated and integrated several times over different parameters depending on the scenario. (A differentiating parameter in the case of banking could be the maximum purchases made by an individual over a certain period—for example, more electronic goods purchased during Diwali than at any other time in the year.) In short, it may take a while to get the result after running a neural net. Later, we will discuss combinatorial explosion, a common phenomenon related to neurons. For a simple use case scenario, let’s make a neural network to learn about a company’s profit data at 60 instances; then we direct it to predict the next instance, i.e., the 61st. Genetic algorithms (GA): This is the class of algorithms that can leverage evolution-based heuristic techniques to solve a problem. GA is represented by a chromosome like data structure, which uses recursive recombination or search techniques. GA is applied over the problem domain in which the outcome is very unpredictable and the process of generating the outcome contains complex inter-related modules. For example, in the case of AIDS, the human immunodeficiency virus becomes resistant to antibiotics after a definite span of time, after which the patient is dosed with a completely new kind of antibiotic. This new antibiotic is prepared by analysing the pattern of the human immunodeficiency virus and its resilient nature. As time passes, finding the required pattern becomes very complex and, hence, leads to inaccuracy. The GA, with its evolutionary-based theory, is a boon in this field. The genes defined by the algorithm generate an evolutionary-based antibiotic for the respective patient. One such case to be mentioned here is IBM’s EuResist genomics project in Africa. The following code begins by installing and loading the GA package into the R environment. We then define a function which will be used for fitting; it contains a summation of the extended sigmoid function and sine function. The fifth statement performs the necessary fitting within maximum and minimum limits. We can then summarise the result and can check its behaviour by plotting it. <strong>A trade off (paradox of exponential degradation):</strong> The type of problem where the algorithms defined run in super polynomial time [O(2n) or O(nn)] rather than polynomial time [O(nk) for some constant k] are called combinatorial explosion problems or non polynomial. Neural networks and genetic algorithms often fall into the category of non polynomial. 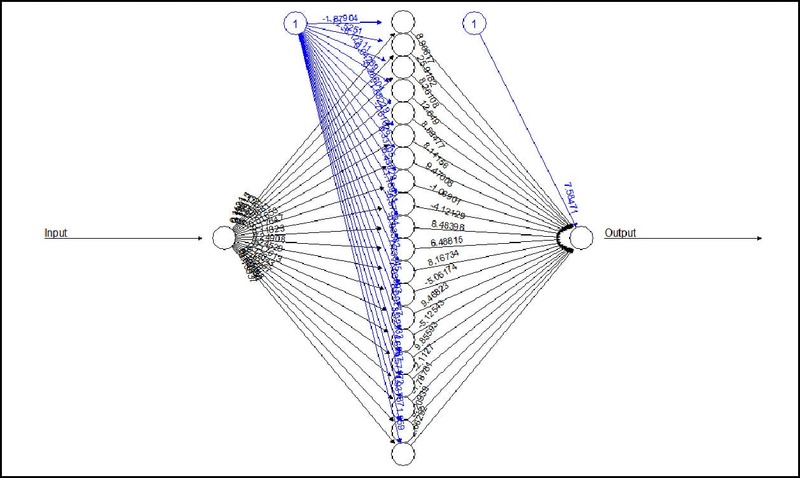 Neural networks contain neurons that are complex mathematical models; several thousands of neurons are contained in a single neural net and any practical learning network comprises several hundreds of neural nets, taking the mathematical equations to a very high degree. The higher the degree, the greater is the efficiency. But the higher degree has an adverse effect on computability time (ignoring space complexity). The idea of limiting and approximating results is called amortized analysis. R code does not provide any inbuilt tools to check combinatorial explosion.